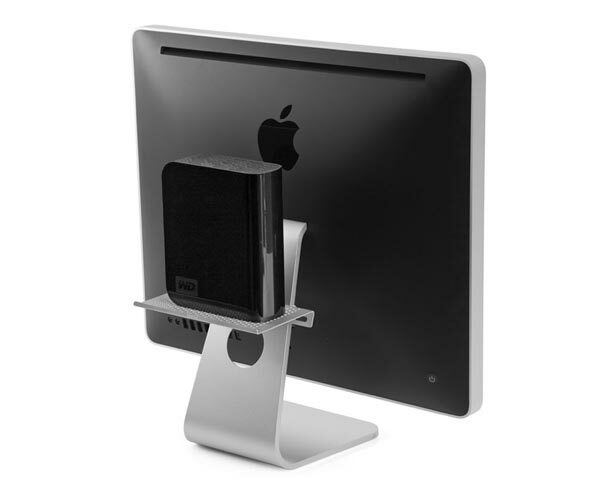 Here is a useful accessory for your iMac of Apple Cinema Display, the BackPack shelf from Twelve South. 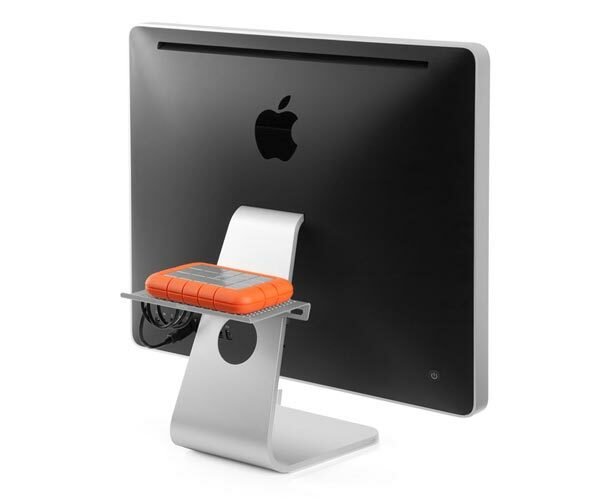 The BackPack shelf is designed to sit on on the back of your iMac or Cinema Displays, and can be used to store external hard drives, or your iPhone or anything you want. BackPack is the perfect place to park portable hard drives, card readers or other USB peripheral you want to hide, but need easy access to every now and then. Set your USB hub on the shelf and tie your cables to it for a super tidy workspace. BackPack is also a handy home to stash your iPhone or iPod while charging and syncing. 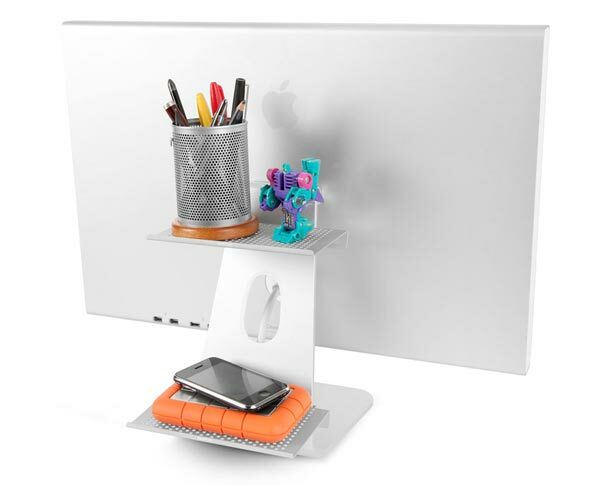 The BackPack is height adjustable so you could put two of them on the back of your iMac if you want, a great way to keep your desk tidy and clutter free. The BackPack is available now for $29.99 from Twelve South or from the Apple Store.